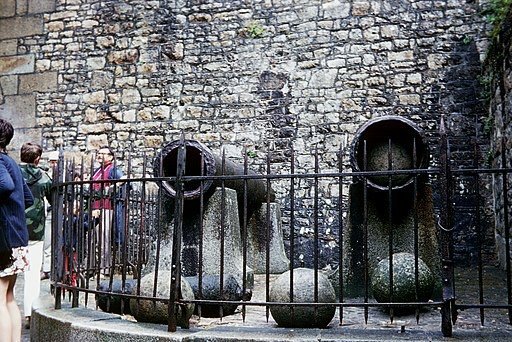 I saw some fabulous old photos of English canons at Mont-Saint-Michel today. They were on the Facebook page of Archives départmentales de la Manche. I hope the link below works but if not do find their post from 8th April and take a look at the additional photos. 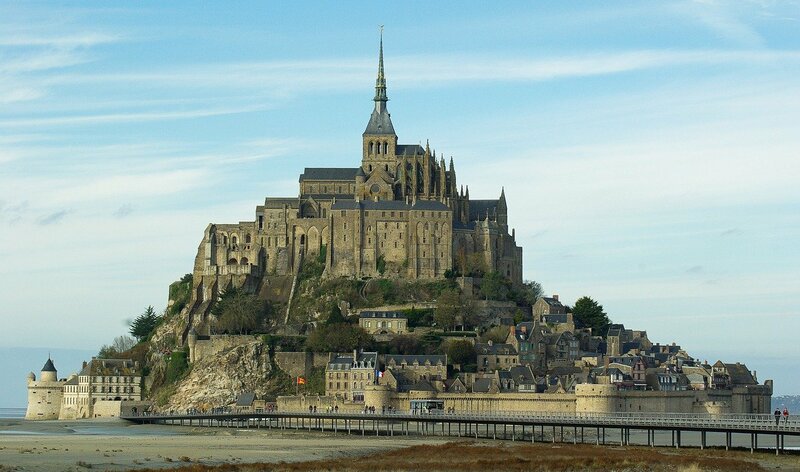 The canons are English and were used during the Hundred Year’s War to try and take over the island of Mont-Saint-Michel. In 1434 the English troops settled on the nearby island of Tombelaine. They were unsuccessful in their attempts to break the Mont’s defences. Today it remains the only part of Normandy not to be conquered by the English soldiers. 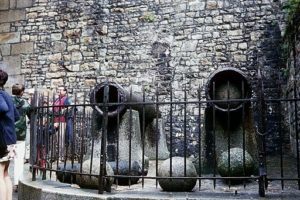 Following their failure to capture the island, these canons were abandoned. They have since been installed just inside the main entrance. They are called Les Michelettes and each one weighs 2.5 tonnes. I have to confess I’ve never seen them. Possibly because I often take a quieter route up to the abbey that doesn’t involve going through the main entrance. I must pay attention the next time I visit!